"Money was never my main motivation — it still isn’t. I only work for the excitement of things." Fans of Bravo's "Million Dollar Listing" take note: there's a new cast member in town. 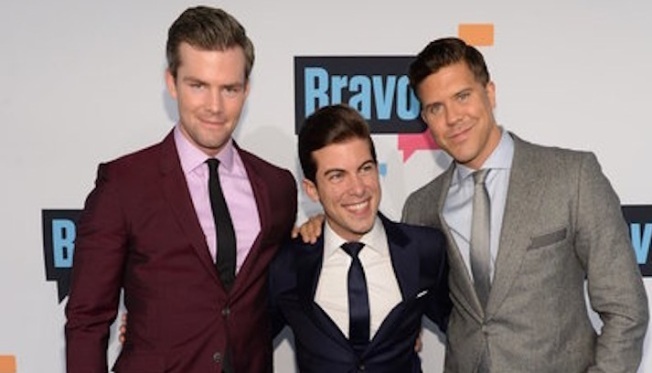 Luis D. Ortiz of Keller Williams NYC will face off with Ryan Serhant and Fredrik Eklund to compete for the biggest piece of the New York City real estate pie. Ortiz left home when he was 16 with his twin brother, Daniel, to be a stocky at Hollister clothing, and as a janitor in a community college. In 2006, he moved to New York to attend the New York Film Academy. After scoring an apartment on Wall Street that he couldn't afford, the broker suggested he enter the world of real estate. "I started in real estate when the market had already crashed. I started in a time where I needed to be able to fight to make money," he said. "Money was never my main motivation — it still isn’t. I only work for the excitement of things. We had to train ourselves in such a bad time that I think I’ve been through the worst." The Real Deal sat down with Ortiz to talk film making, real estate, and his documented head-butting with Serhant and Eklund. Read the full interview over at The Real Deal.